Abbotsford, B.C. is the ideal place to live less than one hour from Vancouver, five minutes from USA, and is one of Canada’s fastest growing cities. The City of Abbotsford also is home to its own Abbotsford International Airport, super handy for ease of business or leisure travel domestic and abroad including many popular sunshine destinations. 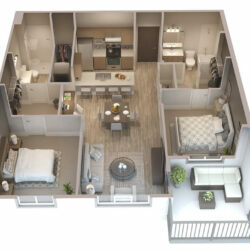 Plus Abbotsford is home to the ever-expanding University of the Fraser Valley, only a 5 minute walk from these luxury rental suites, smack center in the newest neighborhood called, the Midtown District. People come from all over the Lower Mainland just to enjoy the popular farm markets in the Circle Farm Tour, hiking and leisure opportunities that abound, and access to the many unique stores and districts that span from the premier High Street Shopping Centre in west Abbotsford, to the artisan retailers and restaurants in Historic Downtown Abby. The convenience of great selection and prices, more room to spread out, and of course plenty of free parking keeps people discovering why Abbotsford has it all. 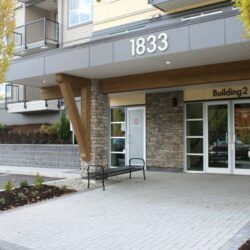 This central Fraser Valley location has also attracted the attention of a wide range of companies in different industries, creating many jobs for the local residents such as: Abbotsford Regional Hospital and Cancer Centre, Cascade Aerospace, Conair Group Inc, Save On Foods, University of the Fraser Valley, and many others who have chosen to do business here. It’s nearly impossible to miss out on all the growing employment opportunities surrounding Midtown Club Suites. For those who like statistics, the City of Abbotsford ranks at number 5 in population size in the province of British Columbia, recorded at 144,400 people in 2016. Coined as the “City in the Country”, Abbotsford is experiencing an increase in population, significant infrastructure, and industrial growth. Also interesting to note is that by land area, Abbotsford is the largest city in B.C. by land area, spanning 375 kilometres. No wonder that living here feels like you can spread your wings! With the U.S. Border only 5 minutes away, a short 60 minute drive will take you to Mt. Baker for a day of skiing or about 2 hours for shopping in Seattle. Drive about one hour in the other direction across the Fraser River, and you can enjoy skiing at Hemlock in the winter or the hot springs and boating life at Harrison Lake in the summer. The new Midtown Club Suites is taking shape in central Abbotsford, ready for occupancy in Spring 2018…..conveniently tucked between the University District and Historic Downtown, this up-and-coming neighborhood has it all!